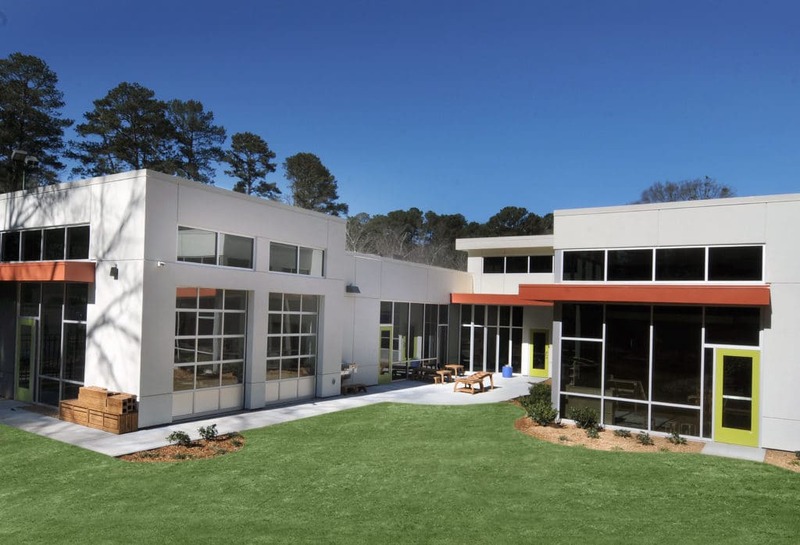 Atlanta’s newest Jewish preschool is NOW ENROLLING! We provide high-quality care and learning to children ages 12 weeks to 6 years, with low student to teacher ratios and flexible schedule options. At Ahava, we are inspired by the teachings of the Reggio Emilia philosophy. Children learn to collaborate and are co-constructors of their learning experiences. We understand the crucial function of play to help children develop and grow, and we support families along their journey. Ahava is devoted to providing children with a multi-sensory, child-centered experience for learning and play, which seamlessly combines real-world exploration with Jewish values to help them develop to their highest potential in a diverse and caring community of lifelong learners. Our foundation and future are woven intrinsically into the fabric of the Ahavath Achim Synagogue community. Ahava Early Learning Center, located in the Orkin Education Building, welcomes all children, regardless of race, ethnicity or religion. We invite you to tour our beautiful, new, state-of-the-art facility and learn more about our Reggio Emilia inspired curriculum! We invite you to see the beauty, warmth and excellence of Ahava for yourself. If you are not available to come to our Open House, schedule an individualized tour: beth@ahavalearning.org or 404.900.9411. To learn more about Avaha Early Learning Center, visit ahavalearning.org.